To draw back the curtain, and let you, the reader, in on some information about the show, I interviewed the director, Mrs. Frauenholz. Here’s an inside look into Clue: On Stage. 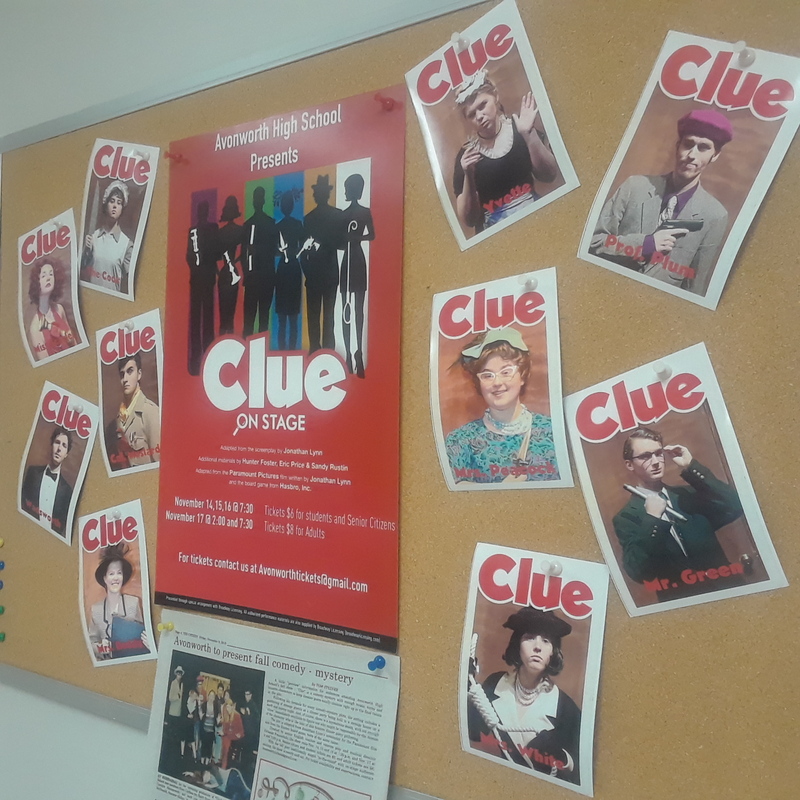 Q: What made you inclined to select Clue as our Fall Play? Q: Were you surprised Clue sold out as quickly as it did? Q: Have you ever previously opened a rehearsal day to paying audiences? Q: If you could describe Clue in one word, what would it be?